First, the alternative to seamless gutters is “sectional” gutters. These are gutters which come in pre-cut lengths, perhaps 10 or 20 feet, and then must be joined together during installation. Second, there are some valid reasons why your home might be a candidate for sectional gutters. Of course, if you decide to do-it-yourself then the gutters you’ll buy at the chain store will be sectional gutters. 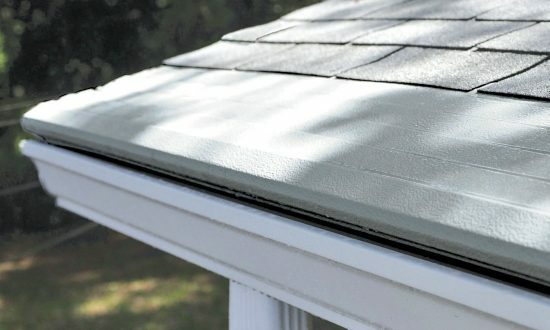 Nevertheless, beware that store-bought gutters usually come in thinner gauges, fewer colors, and less durable finishes than those sold by installers. At the same time, home designs are becoming more complex as houses get longer, higher, and have more corners. Then why choose sectional gutters? For one thing, if you’re building a deluxe custom home with copper or zinc gutters, those products usually come only in pre-cut sections. For another, if you opt choose steel gutters for your existing home then these products, too, often come in manufactured sections. Makers of sectional gutters point out their products are manufactured under factory-controlled conditions by trained operators, whereas seamless gutters are produced in the field under a variety of conditions and by operators who may or may not be well trained. For example, if paint chips or debris get into a roll-forming machine because of a careless gutter installer, the gutters coming out of the machine may be damaged.